Endpoint Security Solutions | Cyber Security Solutions | Symtrex Inc.
As with any defense in depth architecture, an endpoint security solution should be deployed. The traditional solution typically relies on known signatures to detect a malware threat; however, as today’s threats become more complex, cyber security solutions have been forced to evolve. Next-Generation Endpoint Security provides substantially more protection to cover not only your workstations but also mobile devices and virtualized environments. 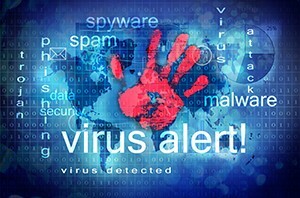 With both traditional signature-based technology and a system of security tools which keep learning about malware, such threats can be countered in real-time and before they inflict damage. In addition, a number of endpoint security solutions on the market have incorporated technologies for ransomware protection, as well as protection from other threats. Symtrex has partnered with several endpoint security vendors to provide our clients with a best of breed security (Sophos, Kaspersky, and BitDefender). You can investigate these products on our website or contact us for more information.